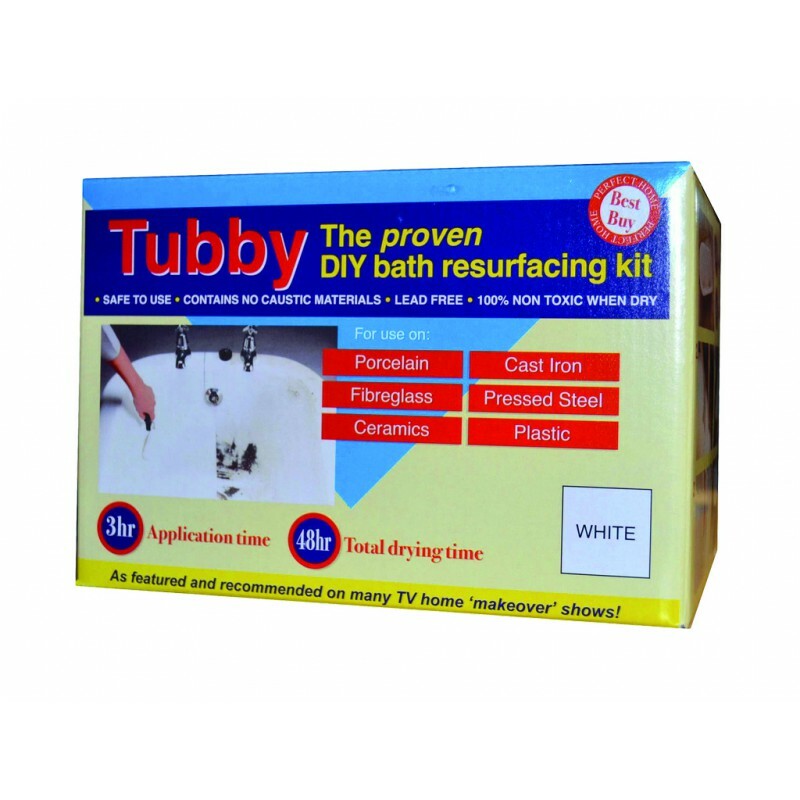 Your customser can save money and time with the Tubby Kit Bath Resurfacing Kit. This bath or shower resurfacing kit gives users a cost effective way of repairing baths or showers. The Tubby Kit includes all necessary parts to complete the task and It's easy to use and mess free. The kit comes complete with rollers, abrasive papers, cleaning powder, hardener and a high quality final coat. Manufactured by the world's leading bath refurbishment company Mend-A-Bath International Ltd.